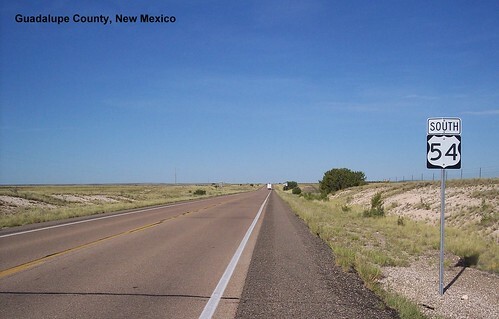 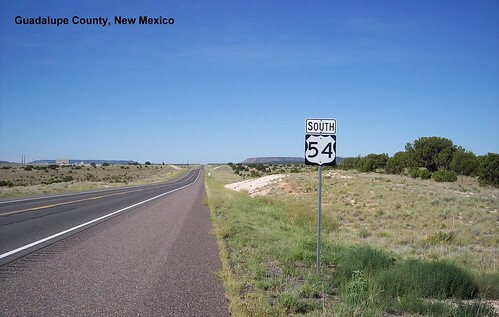 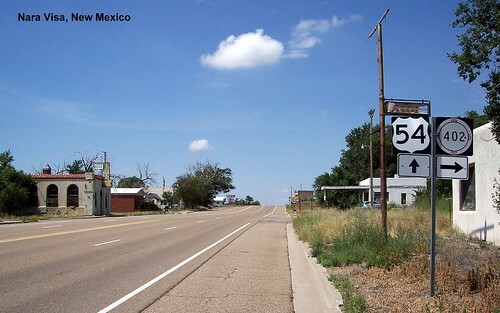 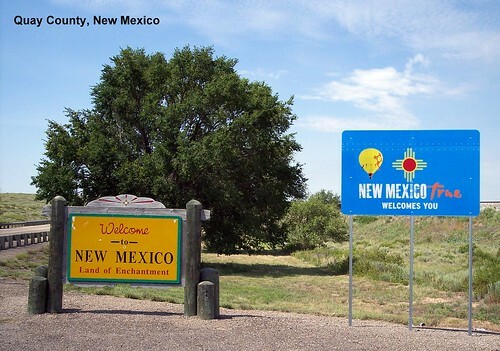 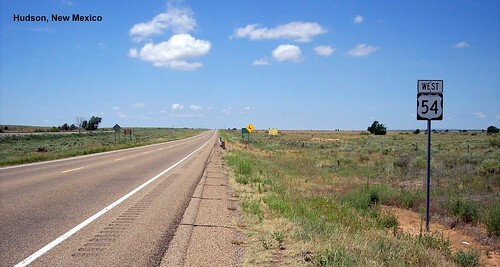 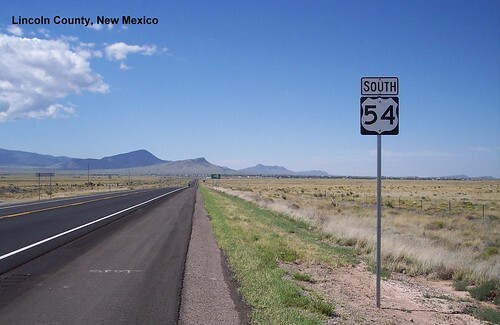 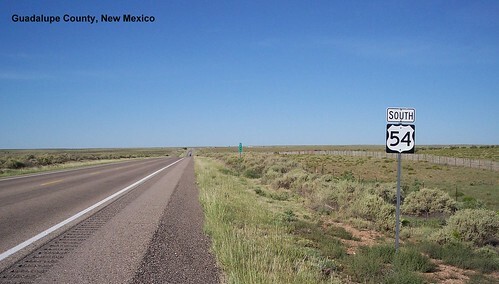 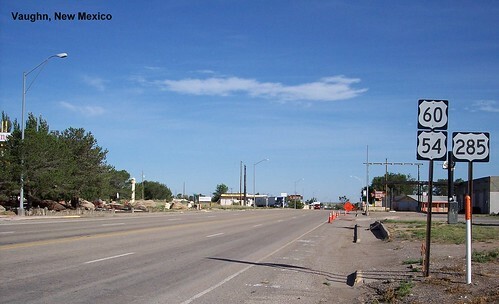 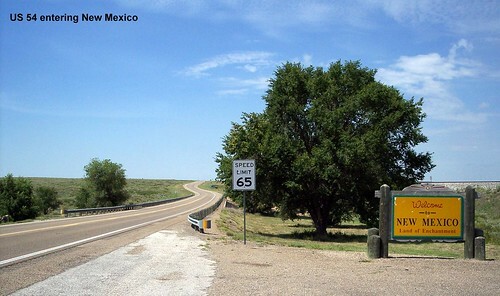 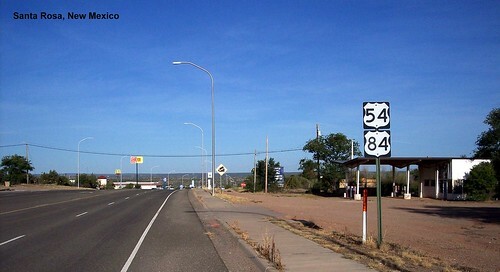 US 54 entering the Land of Enchantment. 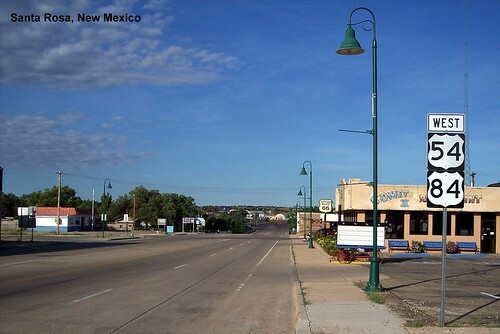 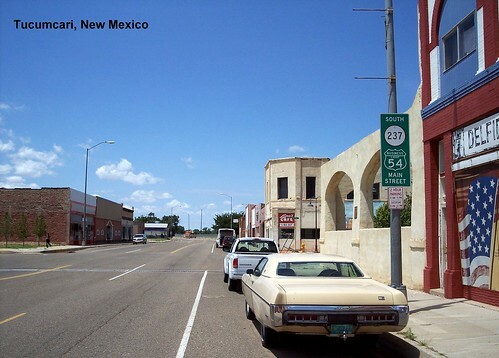 Following the Business Route through Tucumcari. 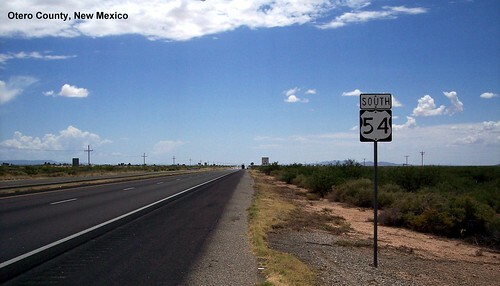 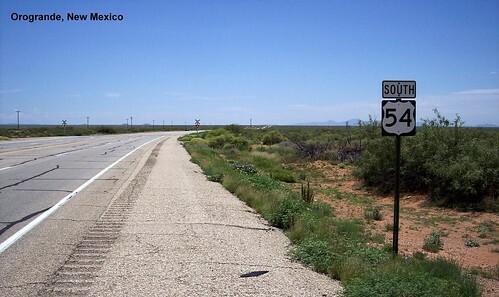 After leaving Santa Rosa US 54 is signed as south rather than west. 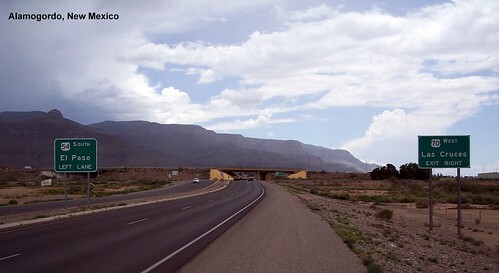 Rain in the mountains in Alamogordo.